A good way to purchase your first Triathlon wetsuit is to buy an ex hire wetsuit. An Ex Rental wetsuit enables you to purchase a high quality Triathlon Wetsuit at a substantial discount to the full retail price. My Triathlon offers Triathlon Wetsuits that have been hired just once and are in perfect condition [from £99] to wetsuits that have been hired twice and will have some repairs [from £79]. Blue Seventy - good numbers in the Sprint, Fusion, Reaction and a few Helix. 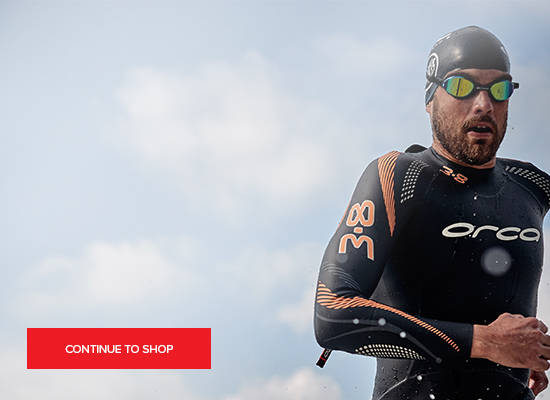 We now have a good selection of Orca wetsuits mainly the S6 and a few swimrun wetsuits. These wetsuits will sell out before the start of each open water season, and the popular sizes start to sell out before March, so buy well in advance of the start of the open water season. Once the season is underway in July we will have a steady supply of ex rentals coming back from short term rentals. The more expensive wetsuits tend to be available between September and February.